Preschoolers are naturally curious about the world. Preschool science is all about investigating these curiosities and learning about their environment in hands-on, minds-on experiences. This article is WEEK 1: SCIENCE ACTIVITIES in the FREE STEAM: Enrichment Course for Parents and Teachers. What color rock did your child find? Thank you for attending Week 1: Science Activities. We are SO glad that you have shown an interest in enriching your child’s life with science. Early experiences with science will help develop the foundations of asking questions, making predictions, and seeking answers. Challenge yourself this week to improve science in every day. Here are some tips to get you started. Keep reading for this week’s science challenge. RIGHT NOW: I would like you to look at your child’s play area. What tools do your children have immediate access too? This means, these tools are out in the open and not in a cupboard. What tools are they using on a regular basis? Observe your child throughout the day. Make note of the science tools they are using. What tools can you add to their play area to encourage observation or questioning? Think about the tools you already have and what tools are available for your child. Add these to your wish list, look for them at thrift stores, asks for these items as gifts. Do you have any science pictures or words available in the room? Yes? Add a few more. This can be a folder propped open with words or a poster explaining a science concept. No? Take a movement and go make something. Use markers and computer paper. It doesn’t need to be fancy. Is there a designated science center for exploration? This can be as simple as a tray or basket or as detailed as a designated science table. Are there science readers available to your children? Encourage your children to ask WHY. Although admittedly annoying when said repeatedly over a short period of time, asking well thought out questions about the world is beneficial to developing beginning science skills. Model how to ask questions. We happened to bring 3 toy cars into the bathtub today. Two were plastic and one was metal. When the were dropped in one metal one and one plastic one sank to the bottom. WHY did this happen? Was it the material the car was made of? This tiny everyday task of taking a bath had the potential to springboard into an in-depth lesson on density. Explore the idea in further detail. Provide opportunities to investigate and experiment. We must MAKE time for science. I strongly encourage you to set aside one morning or afternoon a week for a planned science activity. Check out books from the library, purchase some from the store, buy science kits for your kids, use Pinterest to start a science board and collect all the neat science activities you want to do with your child – THEN DO THESE SCIENCE ACTIVITIES. The more you start to do them, the more naturally science will flow into your daily routine. Follow along with our STEAM board for the articles and activities that inspire us! Follow The Educators’ Spin On It’s board STEAM on Pinterest. 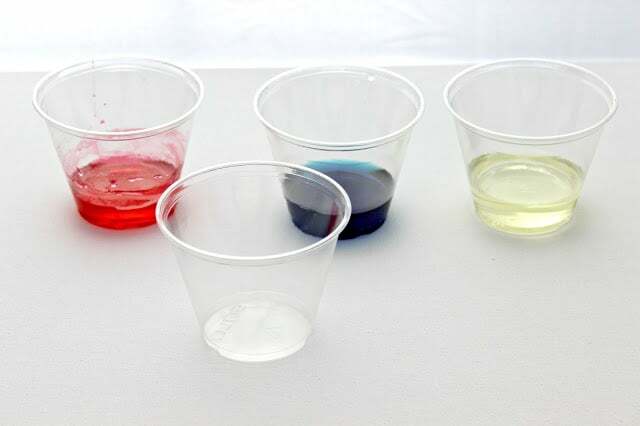 and I discuss how this preschool science investigation went with our own preschoolers. We will be sharing even more tips and tricks on making science an everyday experience for your child. This week, we are challenging parents and care-givers to integrate more science into your child’s every day activities. The activity we selected requires very little preparation and the materials you need are right outside your door – ROCKS. A magnifying glass is a great addition this this activity, but not a necessity. Set aside 30 minutes this week to complete this activity with your child / children. 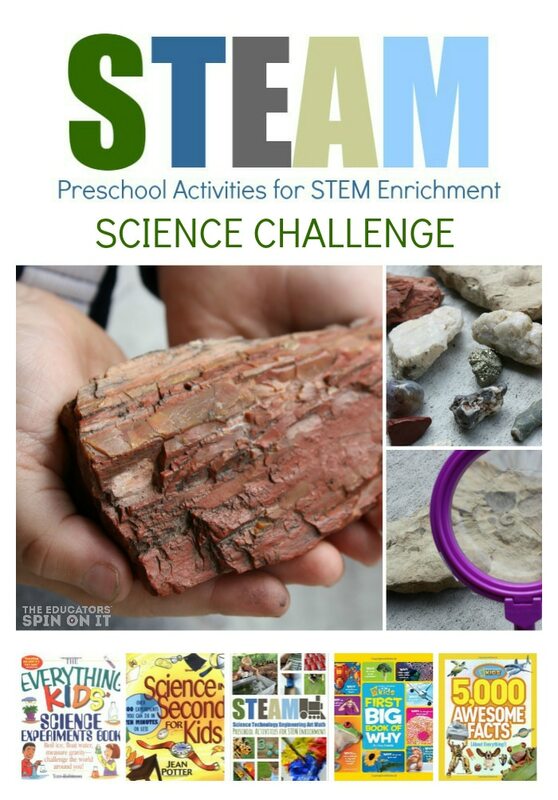 Check back in by leaving a comment on this blog post to let us know that you have completed this preschool science challenge. The check-in question is: What color rock did your child find? Feel free to tell us how it went as well! Observe and describe differences in rocks. 1. The child will collect rocks on their daily adventures outdoors. Tell him that a rock is a natural solid made up of one or more minerals. 2. 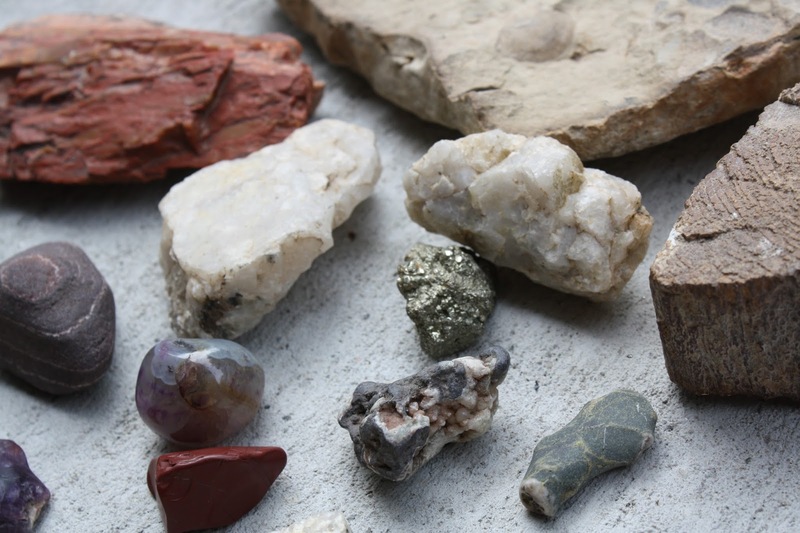 Once a group of 5 or more rocks have been collected, encourage him to observe the shape, textures, weight and colors of each rock. Talk about what he sees. Use language rich words such as shiny, dull, smooth, bumpy, round, ﬂat, heavy, light, and hard. 3. Allow the child to organize his collection in any way he chooses. Encourage him to then sort by certain attributes as described earlier. Find a place the home or classroom where this collection can be displayed. 4. After the collection has been sorted, choose one rock to draw in a science journal. Label colors, divots, textures, or differences in the rock that makes it unique. Write one sentence to describe the attributes of that particular rock. Preschool children may attempt to write these words on their own. An adult may also write the words dictated by the child in grown-up writing on the paper. This helps beginning writers make the connection between spoken words and written words. 5. Sometime after this activity is completed, stop back here or on Jamie’s science post to let us know that you have completed the challenge! Amazing color photographs and facts about everything from chocolate to toothy sharks, my kids will spend hours playing, “Did you know this?” together. Energy, gravity, the human body… this books contains 100 quick and easy experiments for kids to do in 10 minutes. This book encourages kids to ask WHY and provides well thought out answers to fun questions for kids. 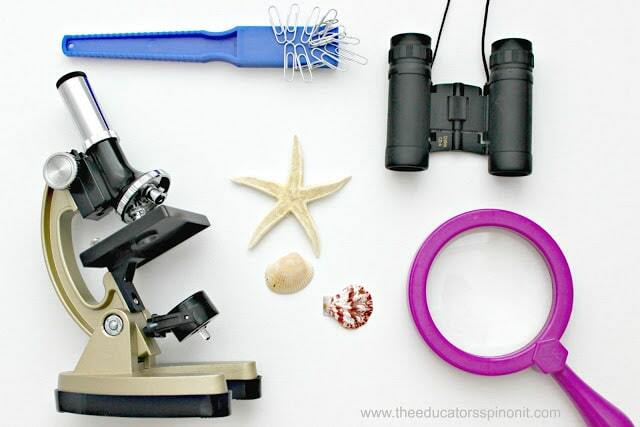 what an easy way to teach science with ordinary things you find in your front yard! thanks kim =) I found this post useful and I'm sharing it on my blog!! keep writing and enjoy fl blog con! !